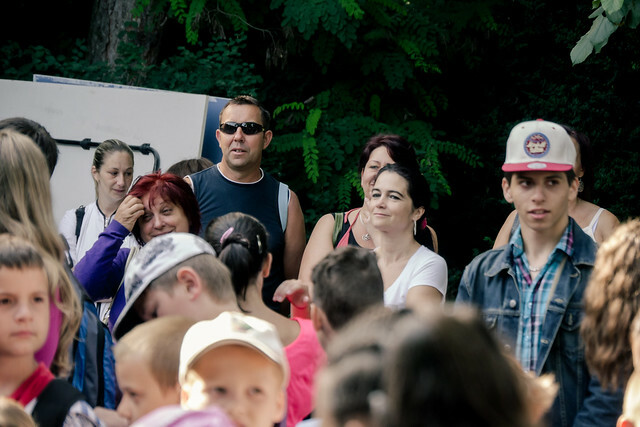 Praise God for continuing to seek and save the lost and working to reveal His Son Jesus Christ to a new generation of Hungarians! On the surface our campers look like normal middle class kids, but the majority of them come to our camp from broken homes. 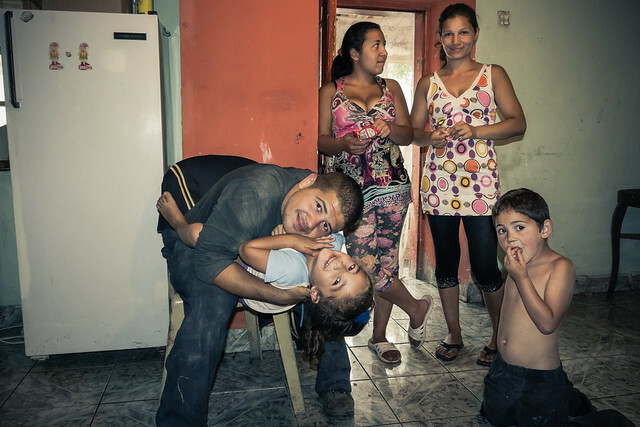 They deal with their parents’ problems with alcoholism, divorce and a lack of love and abandonment. And unfortunately many are on the same path of destroying their own lives following after sin and tempted toward suicide. Although things seemed to start at a slower pace than previous years in kids opening up and showing signs of seeking, as we reached midweek we saw signs of God’s Spirit drawing these kids to Jesus and revealing the hope we find in Him. Midweek, I was able to spend some time with camper Gerda as she came down with some kind of skin rash and pain. I was called to watch over her until our resident doctor came to examine her. God opened the door for conversation about Jesus and Gerda shared some of the questions she was working through. As we continued to talk it became clear to Gerda that there is a big difference between claiming to be a Christian and being religious and having a living relationship with Jesus as Lord and Savior. Gerda ended up putting her faith in Jesus later in the week! 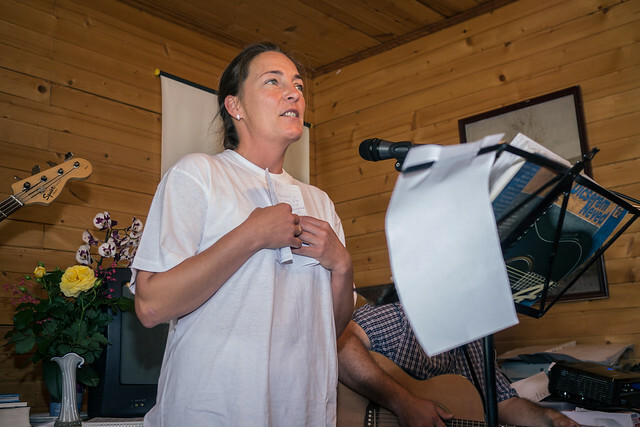 Every year towards the end of camp we hold a special Gospel Night. After the special music, two testimonies, Gospel message and an evangelistic drama, we dismiss the campers but also invite anyone who would like to stay afterward to talk more about what they heard. One of the unexpected joys I experienced at this year's camp was my own son coming toward me in tears saying, "Dad, I asked Jesus into my heart tonight." I embraced him and began crying with joy. Ben told me that the messages he heard and even the evangelistic drama he performed in began to grip him and he understood in his heart that he needed Jesus. Above: Ben letting me know about his decision. Other than Ben, there were nine other campers that made decisions to trust in Jesus Christ as Lord and Savior. 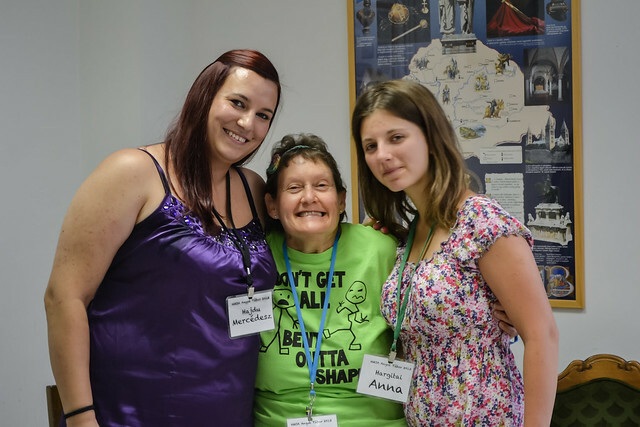 Two of them are campers from our area of outreach, Réka (see photo below) and Mercédesz. 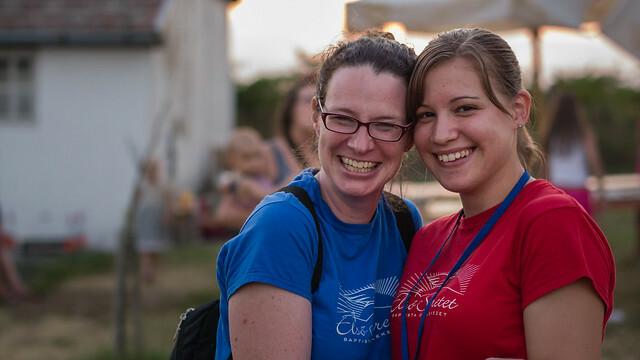 Réka's mother was recently saved and baptized this year in Petofibánya and Mercédesz came to know us through our ESL program in Rozsaszentmarton where we are planting a church. 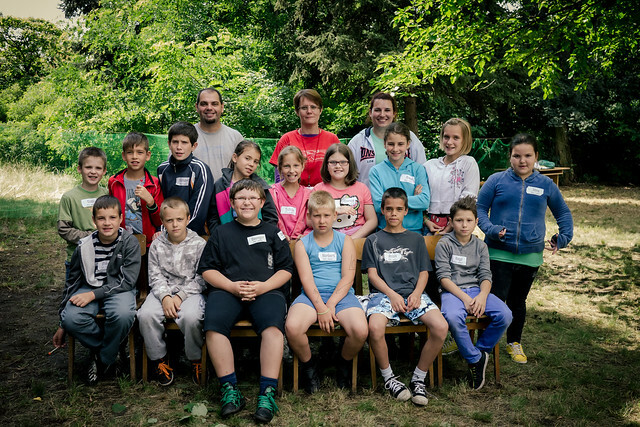 All the others who came to camp from Petofibánya this year were in serving roles as Salt and Light Campers. They also did an excellent job on Gospel Night presenting a powerful drama. We praise God to see their lives transformed by Jesus and how they are so integrated as partners in ministry in church planting. Above: Mercédesz (purple) who made a decision this year was a student in Sandy’s class. Above: Closing ceremonies. Even though we have the highest number of campers this year than any year past there were no major disciplinary issues and there was a sense of peace and unity throughout the camp! Above: I was called to teach level 7 English class this year. I had a great time with these students, most of whom I already knew from last year. Levi to my right in the picture was also one who put his trust in Jesus this year. Above: Pujka with one of his grandchildren. Pujka is the father who has opened up his home for Bible studies every week. Now that it is summer, we pull up lawn chairs in the shade of an unfinished house in his yard. Some of his kids pull up and listen while sitting on bikes. After English Camp I was looking forward to seeing my friends in Bogacs and studying the word together with them. I praise God that he has opened this door and continues to keep it open by His grace. There continues to be a sect that is making rounds to this family and I am thankful that it has become clear to them that the Bible reveals God’s truth. God is equipping them to discern the difference between opinions and God’s truth as we study the Scripture together. Above: Ödön left and Pukadur right faithfully attend each week. Ödön knows that his faith is growing but that he is not yet ready to make a decision. Pukadur believes what he has understood thus far and there are signs that the Spirit has changed his heart. Just this past week he shared that while in a hardware store the cashier began giving him back too much money. Pukadur gave it back and tried to explain to the cashier that they had given too much. The cashier was so flustered that he couldn’t grasp what was happening and his boss came out from the back room thinking that Pukadur was trying to do something wrong. After Pukadur explained what was happening the boss said that he has never seen a ‘gypsie’ behave with such honesty. Pukadur is experiencing that he doesn’t have to steal anymore, but can follow God’s way and trust that He will provide. Above: Ödön’s sister Timi (far left) began asking some questions about life after death while peering at our study from her fence. 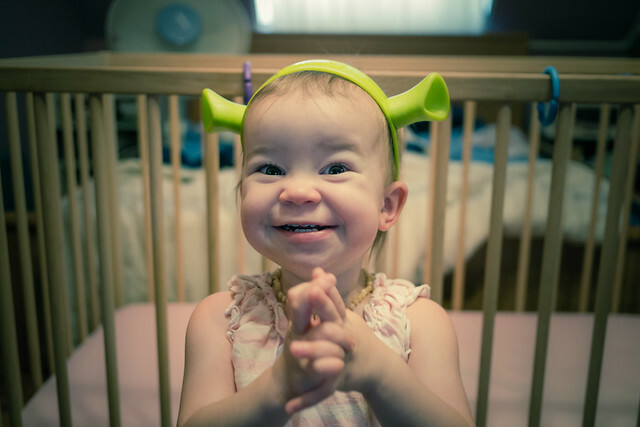 I hope that someday she will also begin attending the study. 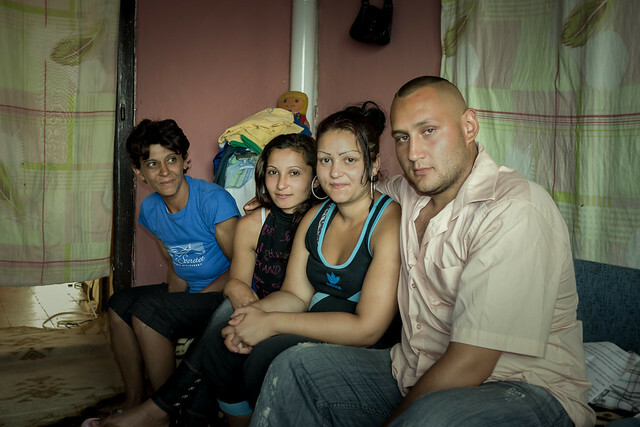 Above L to R: Krisztian, Izabella, Izabella’s sister, Mazsi and husband Pukadur. Izabella, Mazsi and Pukadur have made decisions to believe. Please pray for their continued growth in their relationship with Jesus Christ. 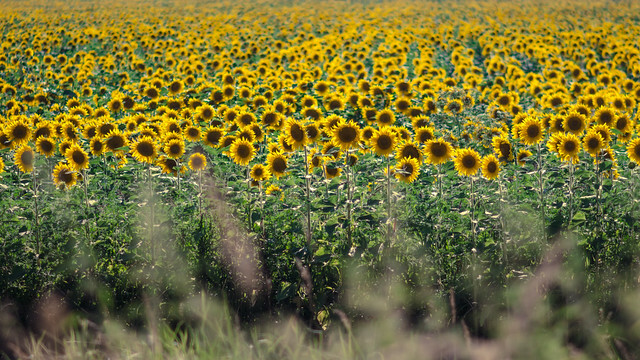 Above: Fields surrounding our area are full of a beautiful sea of sunflowers this time of year. I rejoice in this season of ministry seeing a move of the Holy Spirit that is causing more and more people to discover that Jesus is the Son of God! Our baptism/foundations of faith class that we held months ago has transitioned into a growing Bible study for women in Petofibánya. Those who were recently baptized are inviting others to the study and spreading the Good News. One new visitor who attended this past Thursday is at a place in life of feeling completely lost and hopeless. Our study ‘happened’ to be in Matthew 7 where Jesus reveals the importance of building our lives on the foundation of Jesus Christ and His truth. “And the rain fell, and the floods came, and the winds blew and beat on that house, but it did not fall, because it had been founded on the rock.” (Mat. 7:25) When I asked how God’s word was speaking to us personally, she said, “I realize that I had built my life on sand and now it has fallen apart. I’m in a place where I need to start over.” We encouraged her by turning her attention to the hope in this passage found in Jesus. By His grace, it is not too late to start again, to be saved and led by Christ. Please pray for the new women attending this Thursday Bible study to put their trust in the One who died for their sins and is the only way of restoration with God. On Thursday, I joined our fellow elders Miki and Dezso to meet with our town’s mayor about the building they have offered that we use in the future. Though we expected the meeting to be relatively short, we ended up remaining for two hours! The majority of that time was not talking about the building but about life and about personal testimony. DezsÅ‘ didn’t know it before walking in, but this mayor was a neighbor when Dezso was a young man living in Petofibanya. Now years later, Dezso was able to give testimony to how Jesus Christ saved Him. Praise God for this opportunity! As far as the building being offered, we are still discussing details and still praying. It is clear that if we do make this move, there needs to be serious renovation which will require money that we don’t have. The reality is that we already have outgrown our current meeting place and at the rate of growth we have experienced year to year we have a need of a new space. We’re slowly moving forward trusting in God’s provision of wisdom and direction in this matter. Above L to R: Vicse, Vivi, (don’t know her name yet) and Istvan. Although I had hoped that Vivi’s boyfriend Robi would come tonight, I was in for a different surprise. One of his close friends, Istvan came instead with his wife. 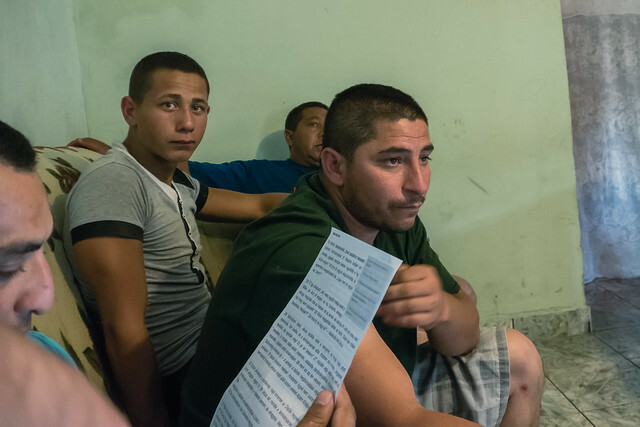 Istvan confessed that he was one of Robi's drug buddies and could not hold off coming to our Bible study any longer. After seeing freedom given to Robi by Christ from drugs, Istvan longed after the same thing and was also set free by God's grace. He came this night with the intention to be saved! In our study on Acts 17, Istvan recognized that he was like those who worshiped an unknown God and likened me to Paul bringing good news. He also said about himself that he was like those in the story who wanted to hear more about Jesus. Above: Please continue to pray for Robi (Vivi’s husband who was set free from drug use by Jesus). English Camp One Week away! 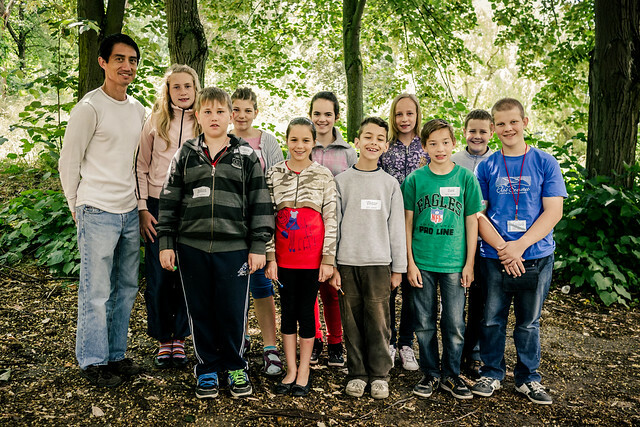 Above: Mercedez, who had attended our English Club in Rozsaszentmarton is planning on coming to English Camp this year! 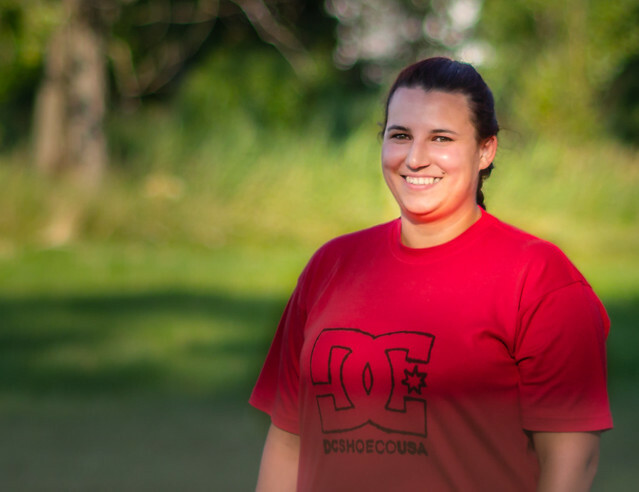 Above: Réka who just attended our VBS as a teen will also be coming to English Camp this year. Above: Réka’s mother Juidit at her baptism this year. Judit has been praying for her daughter and has a deep desire that she would also come to know Jesus as Savior and Lord. 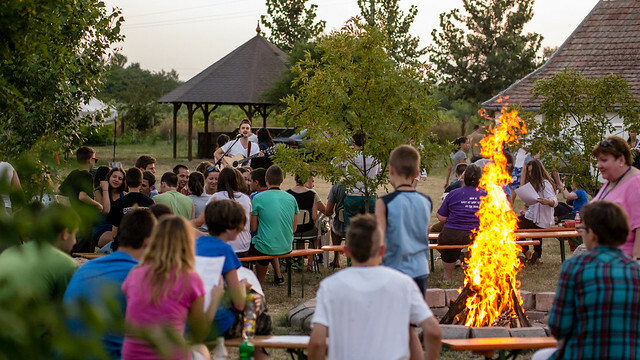 After VBS, Réka has been coming to our youth group meetings on Friday and this will be her first English camp. Please pray for first time campers Mercedez and Réka! Of course we have a bunch of others attending from our town who will be ‘salt and light’ campers seeking to reach out to those who were in similar situations of being lost and helping in any way they can in sharing Jesus. Another way in which they will be serving is in an evangelistic drama that we are practicing this week. Please pray for the teen drama team and pray that God would use the drama along with the various messages given throughout the week to exalt the name of Jesus Christ. This is the first year where we have had to close registration due the number of campers who are coming! We simply have run out of housing space. Please pray for those busy in preparation and planning to accommodate this number of kids. Because of our VBS last week, I wasn't able to commute to Bogács for our weekly Bible study. I was excited to be able to return again this week and was greeted by Mazsi and her daugther Melisza in their front yard. Mazsi asked me this week if God could hear her even if she didn't pray out loud. 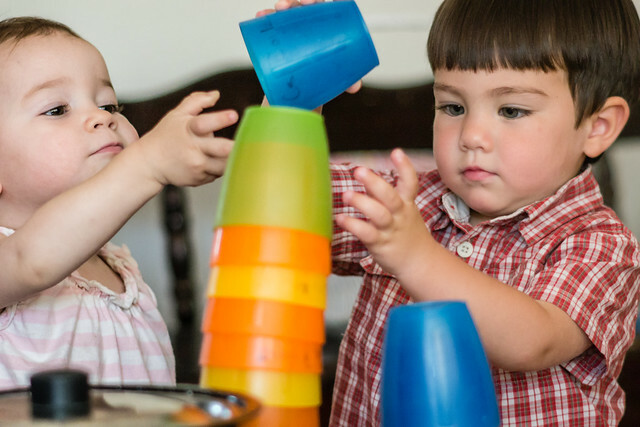 There are so many basic truths that we take for granted that this household is learning for the first time. Mazsi smiled as I told her that Jesus knows us from the inside out and that prayers in our spirit are heard just as much as prayers spoken out loud. We walked next door to Pulyka's house where we are now regularly holding our Tuesday discovery Bible study. Pulyka, the father of the household, and his wife were there waiting as well as their daughter Izabella. 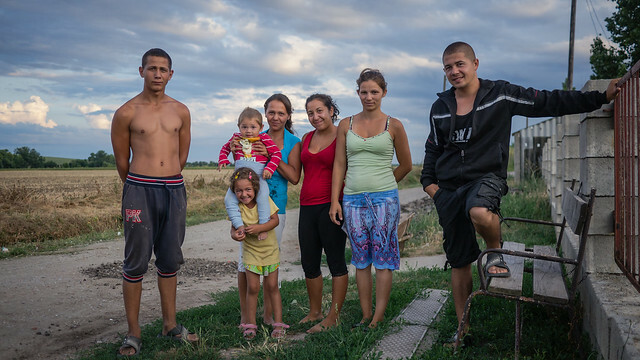 Family members, all live in close proximity seemingly squeezed together in a section of Bogács where the Romani have built up homes. Mulit generations live in one house together, while those who have moved out being married or having kids are very close by. Above: Izabella with one of her youngest. Izabella continues to read through the Gospel of John and is recognizing more and more the Spirit of God bringing conviction when she has sinned, cleansing when she confesses and discernment between what is right and wrong in God's sight. Her partner (not married) with whom she has three children is currently in prison. It appears that God is at work in his heart as well as he finishes his term in prison. Izabella has been writing to him about her faith in Jesus and the changes He is bringing into her life. Izabella excitedly gave testimony to how she is free from the fear that once controlled her in the past. Praise God! Apparently the Jesus film was shown on TV the week I wasn't able to come out and the household spent much time retelling what they saw before we started the Bible study. Izabella highlighted one part of the film saying that Jesus commanded his disciples to go out to all the nations sharing the Gospel. I then said to her, "And does that have anything to do with you?" She responded with a smile, "Yes!" Soon, Ödön, Józsi and Pukadur joined us and they shared some ways they saw God's grace in their lives last week. Without me knowing it, our Bible study coincided with the parts of what they saw in the Jesus film last week. When Izabella's little sister began reading the text out loud, three or four of them began shouting, "That's what we just saw!" God is bringing His truth to them in various forms! Izabella also shared that she was learning about how our words can be used to curse or to bless and as believers we need to pay special attention to how we use our tongue. She said there is so much that she needs to learn and I encouraged her to not focus on how much more she needs to learn, but to simply be obedient to what Jesus is teaching her at the moment. Above: Pukadur with his daughter Melisza. His wife Mazsi is pictured standing in background far right. Pukadur (Mazsi's husband) said, "I don't know if I've made a decision or not or whats going on inside of me but something is changing. You know how I was against all this in the past! But now, It seems like everyday, more and more God is on my mind. I'm turning to him in prayer more and more." Pukadur continued to share a story about having the opportunity to do business illegally last week but choosing to say no because of new convictions God is giving him. Pukadur is one of the men who in the very beginning simply laughed in the background as we studied the Bible together months ago. His wife already has chosen to put her faith in Jesus and I believe the Spirit is at work in his heart. Please pray for him to come to a full understanding of the Gospel and be transformed by Jesus Christ. 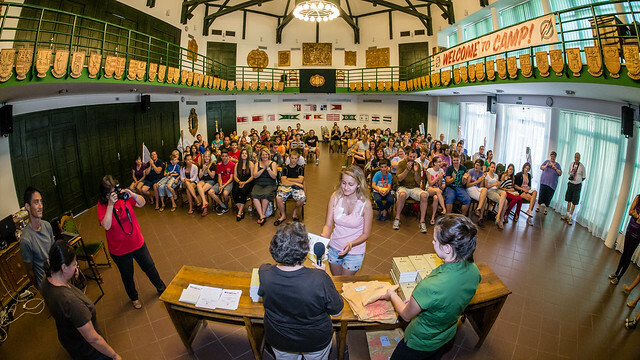 Above: Józsi (green shirt), Krisztian (grey shirt) and Pulyka (leaning against back wall). After the study I was able to pray for Pulyka's leg which was in pain again from his long days of picking mushrooms in the forrest. Jesus was gracious to heal him after the second time praying while the others watched. His son Krisztian that I prayed for a few weeks ago continues to be free of the pain he suffered for so long in his back. 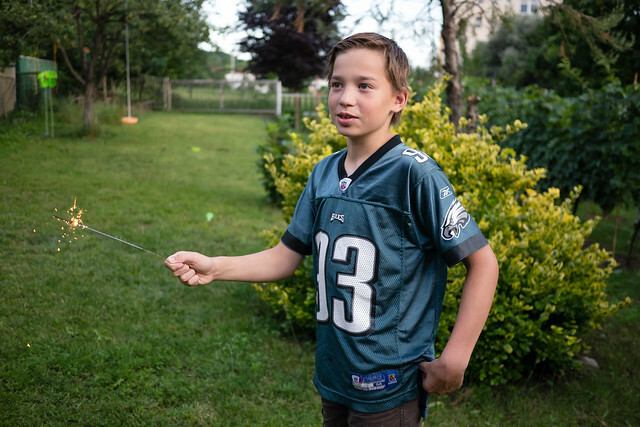 Krisztian has also been consistently coming to the studies and has asked for prayer for aggressive behavior and anger which he now recognizes are not right. He needs to come to know Jesus. Would you pray for Krisztian as well (above grey shirt)? I feel so privileged to be invited by Jesus into this work in this village. This household has welcomed me in as family and Pulyka's wife told me that every Tuesday everyone is looking at the time waiting excitedly for when I will come with God's Word. She expressed her thanks as the marriage problems, the constant fighting and lack of peace they had experienced has since been changed by Jesus. May the Lord continue to bring His kingdom to this household and may they all come to worship the Peace Maker Jesus Christ. I appreciate your continued prayer for us! Unlike Bogács which is about an hour away, Apc is a neighboring town about 5 minutes away. 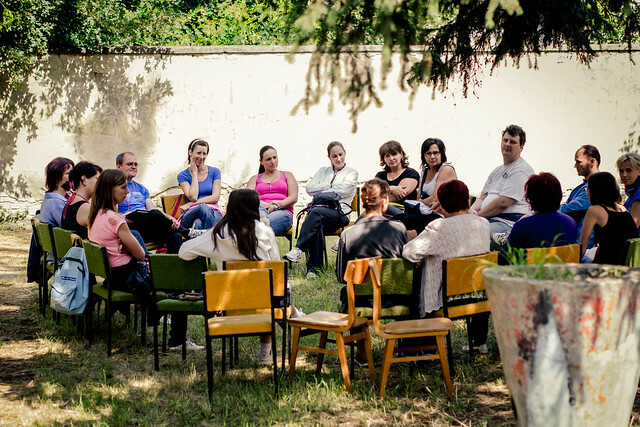 We began holding studies in Apc a few months ago in the home of a Romani couple Zsolti and Vincse. Over the course of these months the group has seen visits from both sides of their family and various contacts that they have made in Apc over the years. Zsolt and Vincse have been praying for their daughter Vivi and her boyfriend Robi for years. They shared how recently he was so overcome with drug use that he began using money set aside of for his kids for drugs. Robi began to recognize how terrible a situation he was in and decided to come with Vivi to our small group Bible study seeking help. It was funny to find out this week that initially Robi was itching to get back home and just get out of the small group. But he said as he sat there, he saw something in me that he wanted. He saw that I had joy and peace that something was very different about me. As the study continued he began to feel more peace and stayed to the end asking for prayer. Vivi was so surprised by his calmness that she assumed Robi was on drugs again, but it was God’s Spirit instead wooing Him to Christ. Before praying, I told Robi that I had no power to help him, but in prayer I’d be talking to Jesus who has all power and all authority to set him free. Above: We our team over for a 4th of July get together on Thursday. Ziva is busy here telling Sammy how things should be done. Above: Here’s some soup after a hard day’s work. 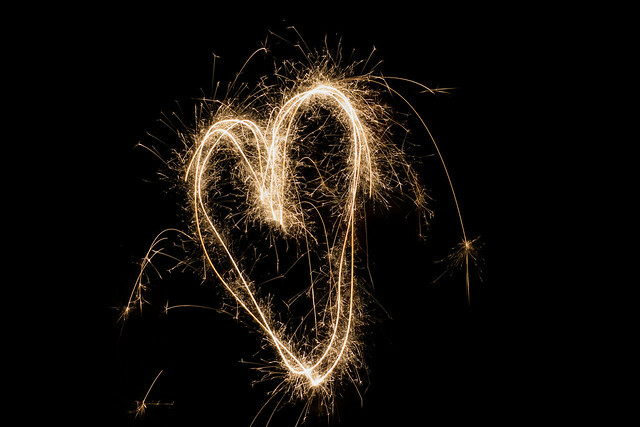 Above: We happened to have some sparklers stored away for the kids to enjoy. Above: Ellie having some fun with shapes in the dark. 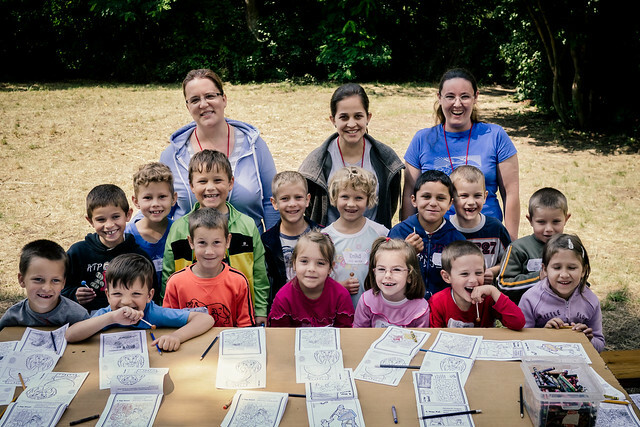 Above: Every year we invite parents to attend VBS with their kids on the last day of camp (Saturday). We had a great turn out and God provided beautiful weather. The parents were able to listen to our morning teaching as we reviewed what we learned throughout the week. 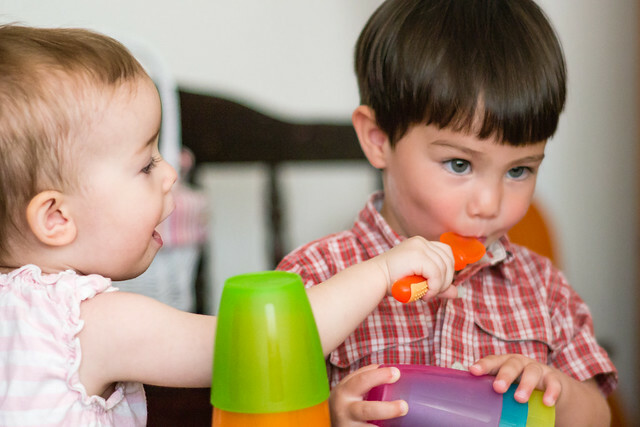 Various children would answer questions about the Bible stories we read and the lessons and verses learned. One parent commented on how they were amazed at how much the children learned in one week and how they were able to remember what they were taught. 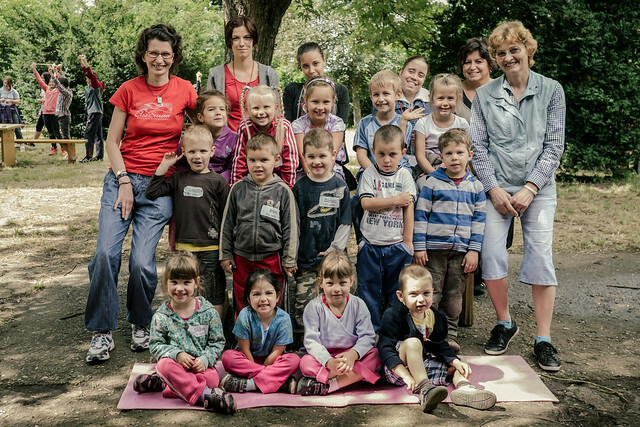 Every day, a group of kids from the neighboring village of Rozsaszentmarton traveled to our camp via mini bus. 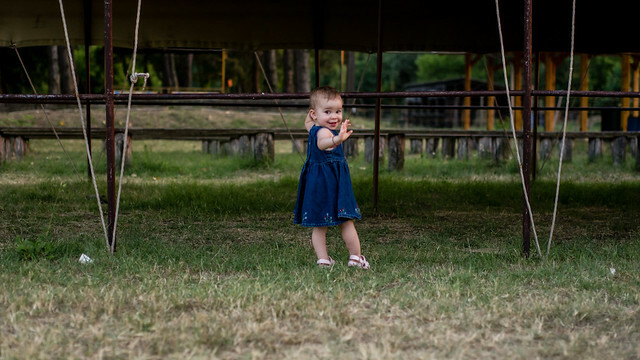 I heard the story of one of their parents getting rebuked by others from her village who said, "Why are you sending your kids to that sect's camp?" She was quick to respond defending what we were doing even though she is not a part of our church. We praise God that even with this kind of negative rhetoric going around, more and more parents are sending their kids to our camp each year and spreading the news. 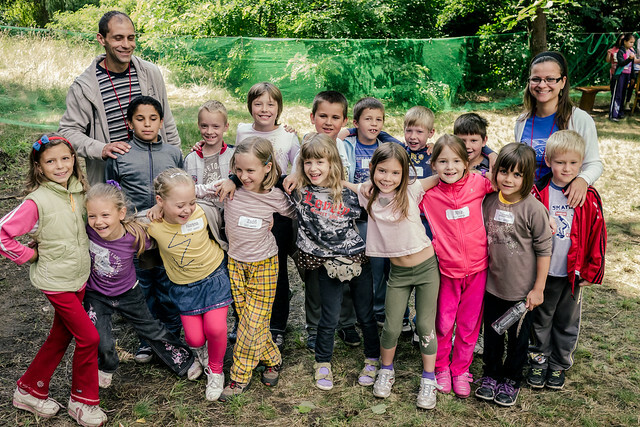 Another woman from Rozsaszentmarton who previously said negatively, “You’ll never be able to 'convert' my teenage grandchild’” had a complete change of heart after participating in events in our final day of camp. Later she personally asked that we try to 'embrace' her granddaughter and try to invite her to whatever we are doing throughout the summer. Edit, a grandmother who talked to various workers throughout the week came to worship service on Sunday for the first time with her grandchildren. Edit is a retired teacher from Petofibanya and some of our workers were her students in the past. 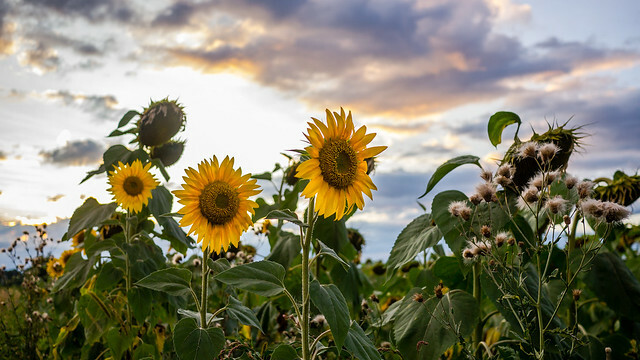 Edit shared in Sunday’s small group time that she had a bad religious experience previously but what she experienced in camp is so different that she is now open. Eszti, who lead the small group Edit was in today highlighted the importance of our church's desire for a personal relationship with God through faith in Jesus Christ. This is far from Edit's past experience of attending a heartless religious institution and we hope the the Gospel message became even more evident to Edit after today's worship service. Above: Réka helping the smaller kids sing along in camp. A last minute camper, Reka, ended up coming to church for the first time as well! Her mother Judit was just baptized this year and has been praying for her daughter continuously. Reka heard about our English camp and has decided to attend! 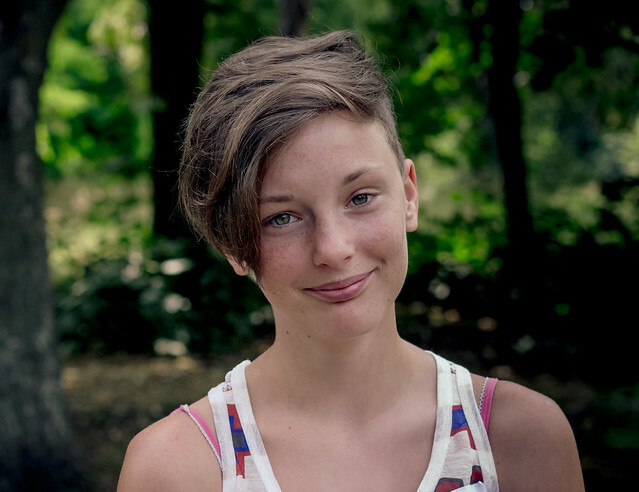 Please pray for Reka to personally encounter Christ and to be transformed by His grace and the powerful Gospel! We praise God for the many members from our church that participated in various roles in VBS this year. In the beginning, the balance of workers was heavily weighed toward outside workers coming in to help. Now the various aspects of camp were led by local church members. 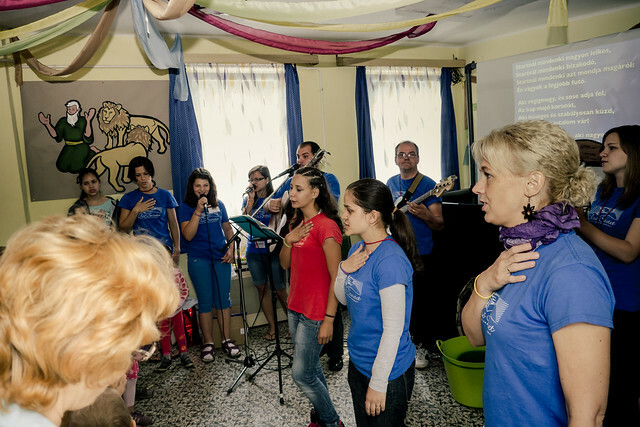 Our goal serving in Hungary is to initiate and facilitate evangelistic and discipleship ministries that EMPOWER Hungarians to lead a dynamic church planting movement. We praise God for seeing not only a growth in the number who attend our church, but the members being empowered to serve in their gifitngs that Jesus has freely given them. Thank you for your prayers and support! 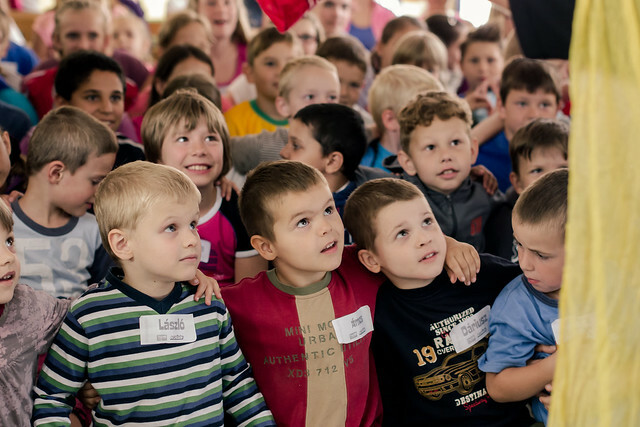 We believe powerful seeds of the Gospel were sown among these kids and their families.